A glammed up wedding is something everyone dreams of. No doubt, every couple wants their D-Day to be perfect that also results in creating timeless memories for them as well all the guests. 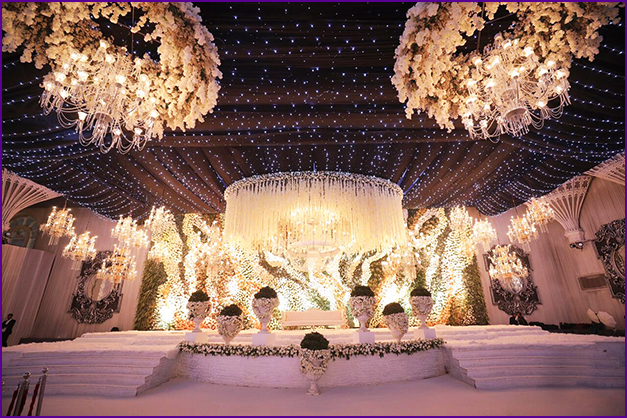 The key role in making a wedding celebration a success is played by the décor. 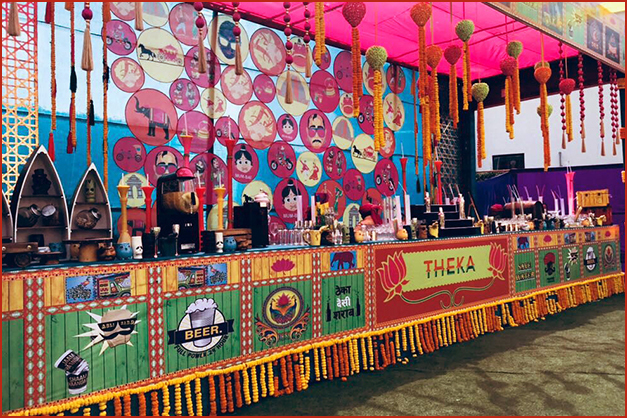 The whole setup is responsible to create the perfect ambiance for the celebrations. 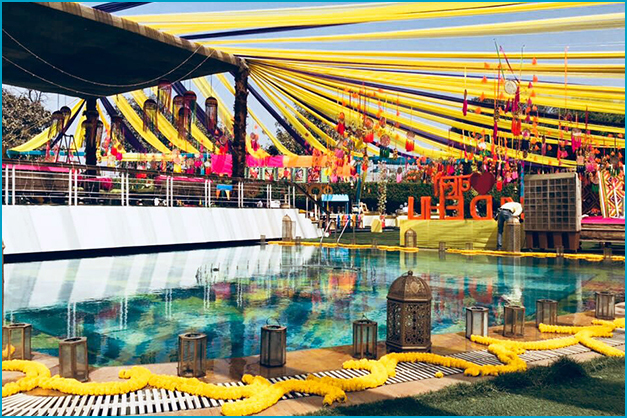 Nowadays people are really keen on selecting stunning details as well as unique elements to adorn the décor that adds a whimsical touch to their celebrations. 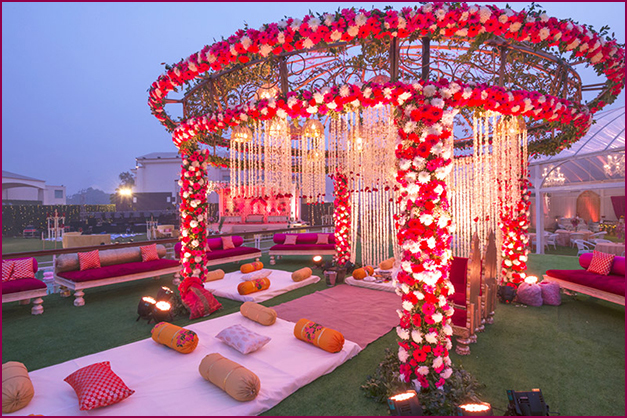 Here are some trending themes as well as ideas that have taken over this wedding season. 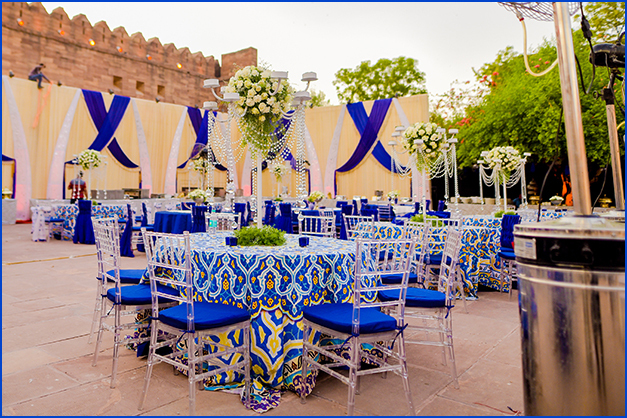 Blue is one of the most loved color in the world and when it comes to adorning the wedding décor this color surely adds a magic. This hue is indeed one of the most loved colors of the season and if done right it will surely make your décor shine bright. Flowers have always been the most important part of decorations for wedding functions but, now the way they are being used is making a huge difference. 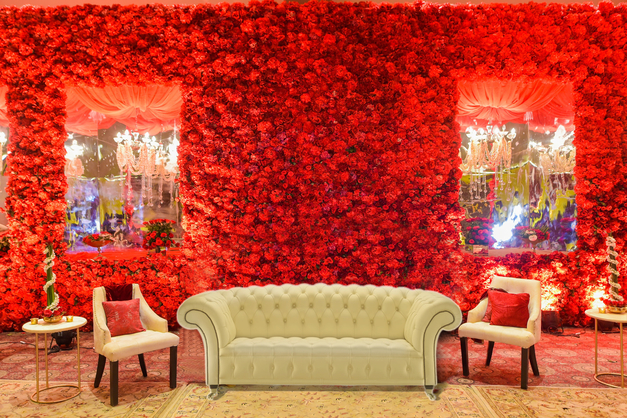 Floral backdrops, floral chandeliers and floral adornments are ruling all over. They make the setups look like straight out of fairytales. Mehendi functions are now one of the most fun parts of the wedding celebration. 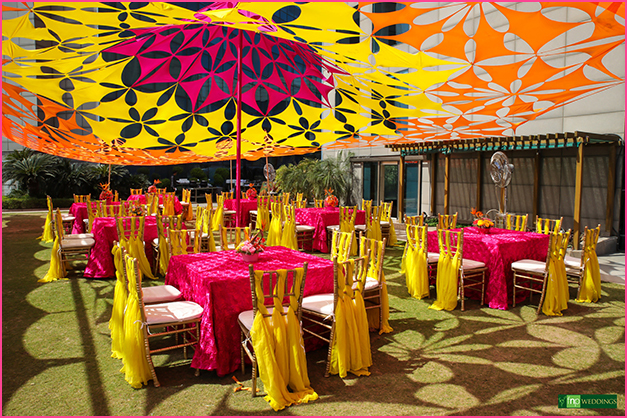 People love to add quirky as well as colorful elements to make it more memorable and exciting. Colors like yellow, orange and green are now being preferred for this kind of function. Plus, various quirky themes are now trending this season. 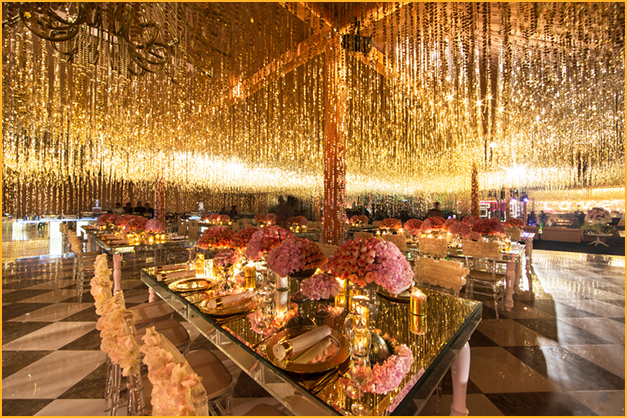 For the lovers of glam setups, shiny sequins and glitters are the best choice. 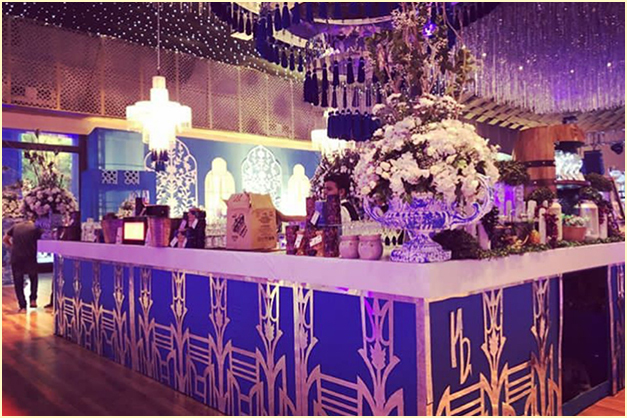 These are basically themed setups that are adorned with shiny elements inspired by the famous parties of The Great Gatsby. 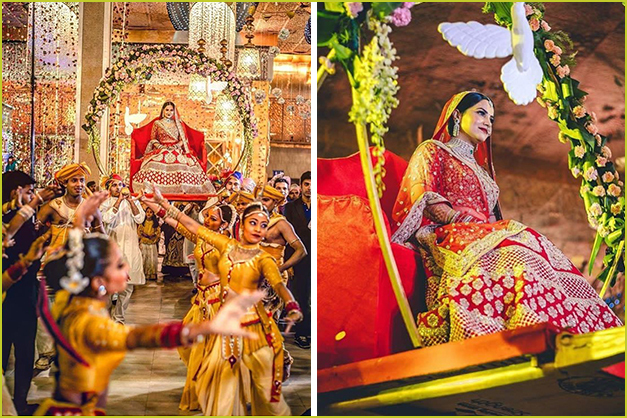 We all are aware how brides are excited to make their grand entry into the venues and they wanted to make it the most memorable moment of their life. This has led to introduction of many unique ways of making the entry. 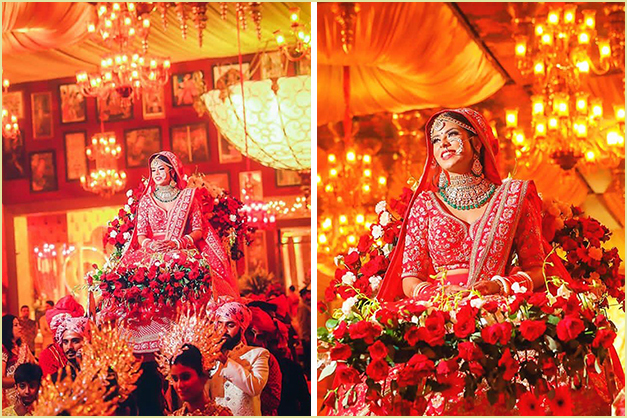 Some brides go for quirky entries on bikes whereas some go for royal palanquin… it all depends upon their style. 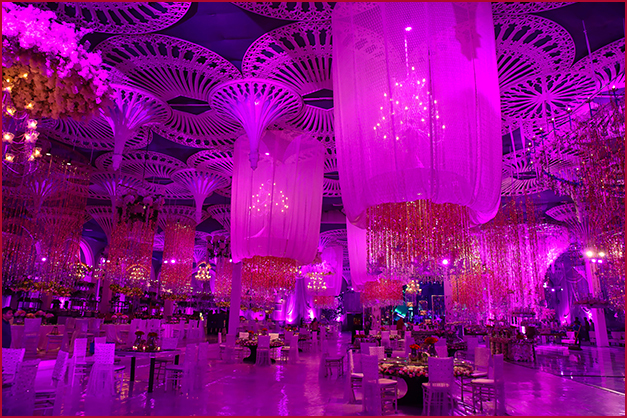 Ridhima is a wedding planning enthusiast who is obsessed with vibrant colors and decor. She takes keen interest in beautifying spaces and people with her knowledge about latest trends in the fashion world.